The Baroncelli III Lady Chronometer magnificently renders the perfect line and detail that define Mido's first collection of chronometers for women. 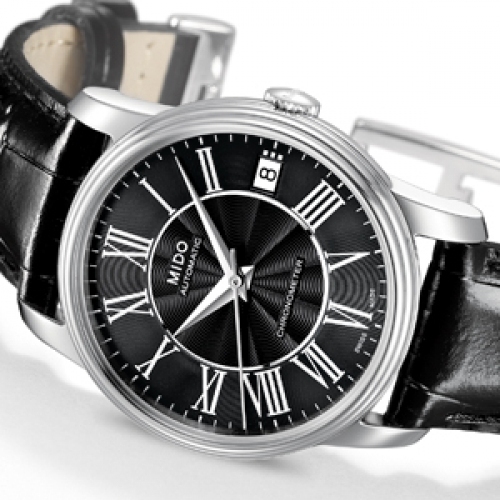 Inspired by Italy and the prestigious Galleria Vittorio Emanuele in Milan, the hours are counted on Roman numerals set against a dial with a finely executed guilloché motif in its centre. 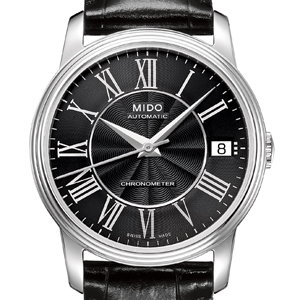 Elegance also transpires in the double bezel – for a 33 mm diameter – and in the chamfered and polished hands. This COSC-certified watch will delight any woman in love with fine timepieces, and who appreciates the charm of Swiss tradition and savoir-faire.